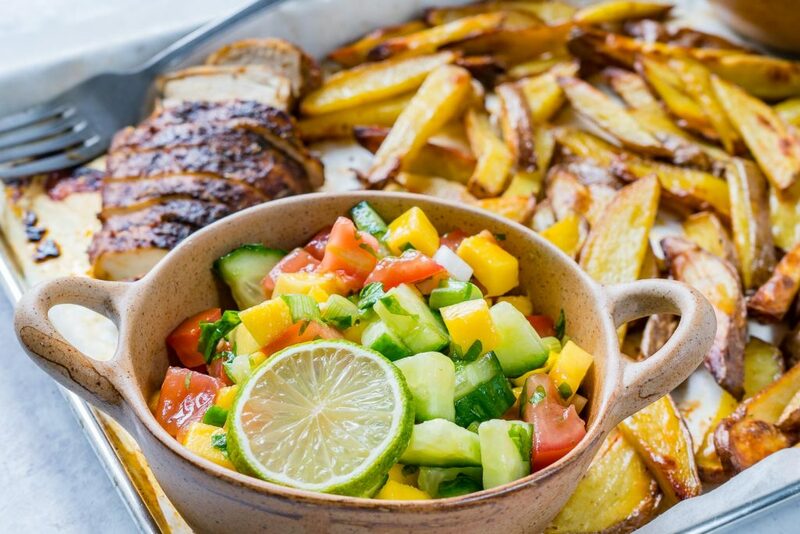 Eat Clean: Sheet Pan Jerk Chicken with Baked Fries + Fresh Mango Salsa! Preheat the oven to 450 degrees f. and line a rimmed sheet pan with baking paper or foil. 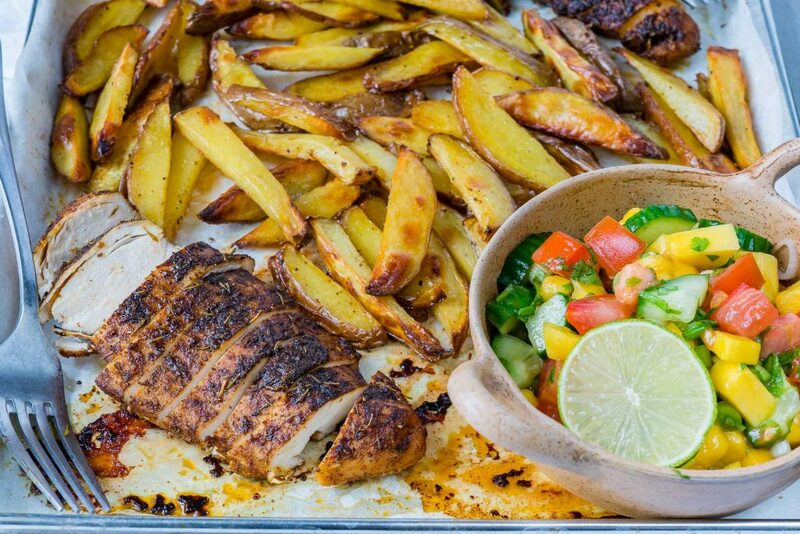 In a small bowl, whisk 1 Tbsp oil with jerk seasoning, and rub the chicken with this mixture. In a large bowl, mix the potatoes with remaining oil, salt, pepper and garlic powder. Toss well to get everything coated. 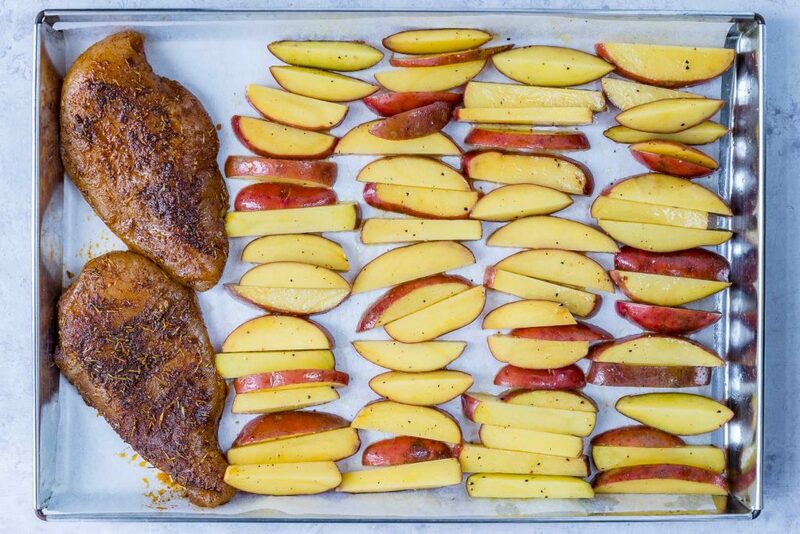 Arrange the potatoes on the sheet pan, in a single layer. 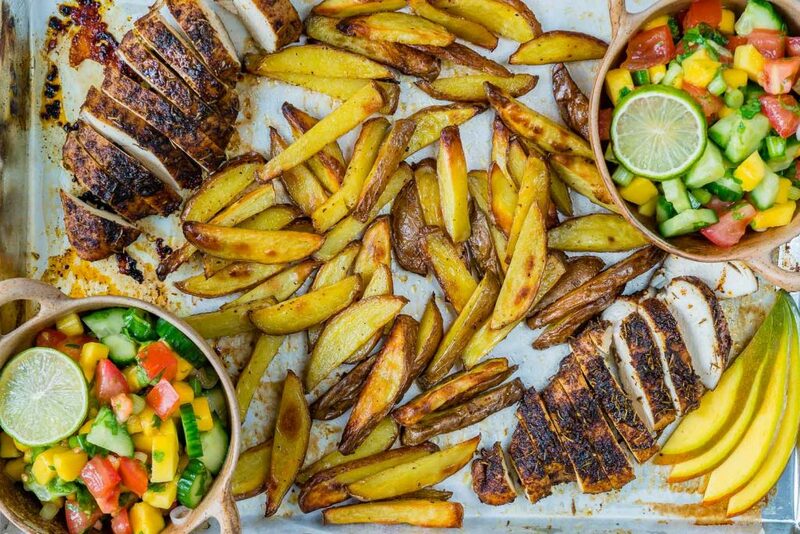 Add the chicken and roast in the preheated oven for about 20 minutes turning fries once during baking, or until the chicken is cooked through and the fries are crispy. 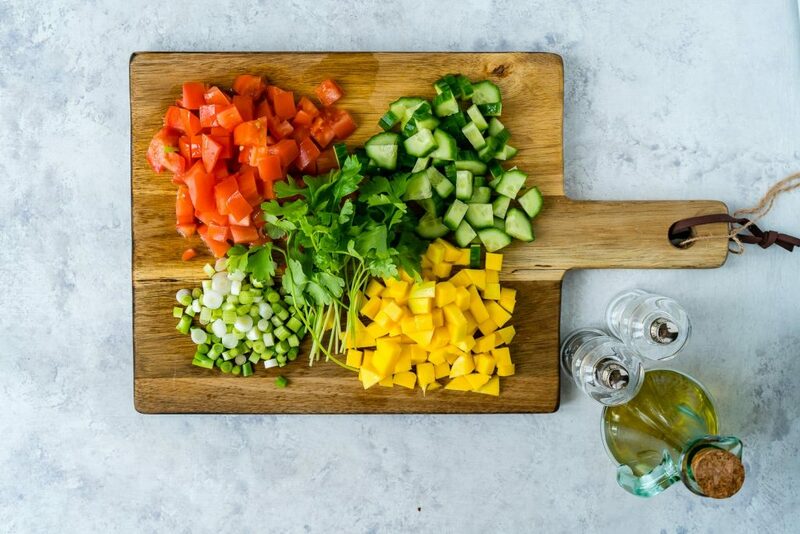 Meanwhile, prepare the mango salsa by mixing all the ingredients in a bowl. 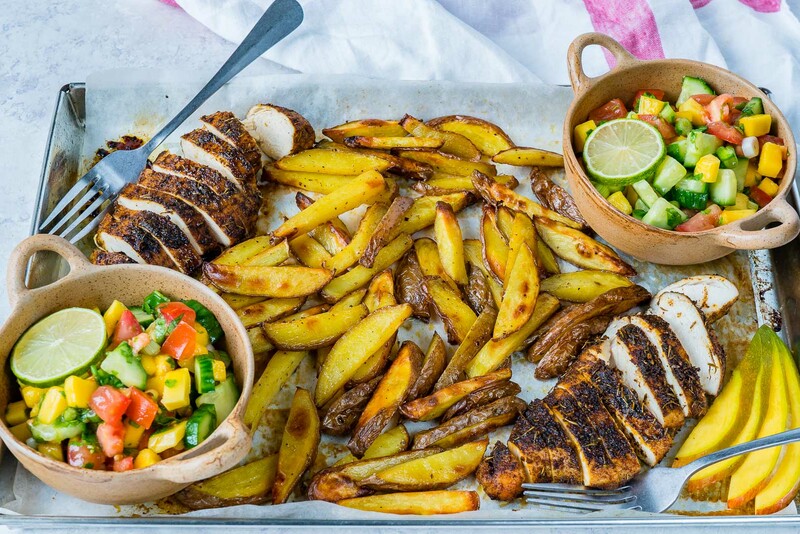 When ready, slice the chicken and serve with fries and mango salsa.